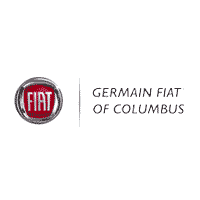 Our service department at Germain Alfa Romeo is proud to offer a 10% discount to all members of the Military (active, reserve and veterans), First Responders, Nurses, Teachers and Students. *Must have valid ID present. Present this coupon when you purchase a battery to receive a free instillation. Receive a 10% discount when you print this coupon and bring it to our Service department! Up to $100 Value. Receive a $10 discount on a Synthetic Oil Change when you print this coupon and bring it to our Service department! We recommend an appointment.